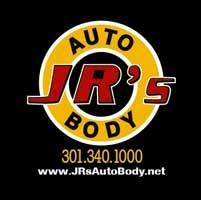 At JR’s we provide all the services your vehicle needs. Everyone wants a mechanic they can trust. and a customer service experience second to none. “JR is phenomenal. We recently moved to the area and needed body work performed on our car to pass inspection. We were having a very, very hard time finding anybody who we even do the necessary body work, and the few people we had found were giving us ridiculous estimates. Then we found JR.
JR's Auto & Body Center Inc.